This is an appeal to all supporters but members of Tigrayan People’s Liberation Front (TPLF). As you all know, TPLF is an organization led by very few corrupt, ruthless opportunists and thugs Ethiopia has never seen before. Since ascendance to power in 1991, TPLF has been looting public and private money and properties throughout Ethiopia day in and day out for 9,125 days. These horrendous lootings and crimes have been perpetuated under the trade mark TPLF, which many supporters may think that it fights for their independence from Ethiopia—justifying the looting and killing of Ethiopians since Ethiopia is not their country. Do you (supporters of TPLF) really buy this nonsense propaganda that Tigray is not part of Ethiopia? Waging war against Eritrea and sacrificing 70,000 precious young Ethiopians for sake of keeping a small village (Badma) which happens to be in Tigray. In contrast, TPLF is in the process of giving away a much larger Ethiopian area (not in Tigray!) to Sudan. 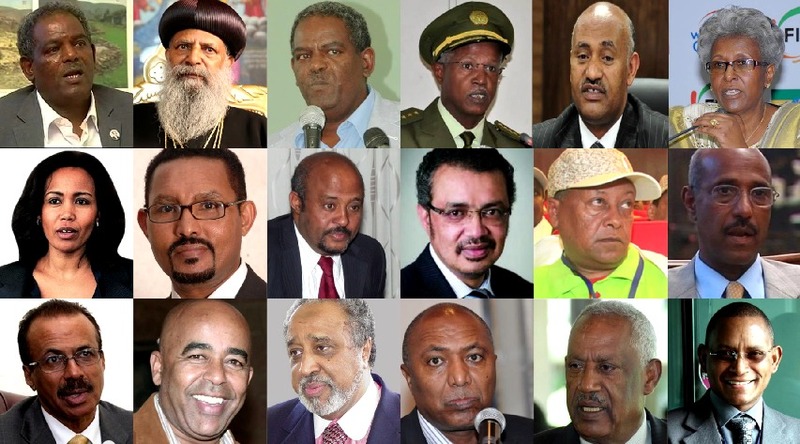 Controlling the “government apparatus” from A to Z (98% of Military, 100% of police and security leaders , Ethiopian Airlines and communication, … by TPLF members) to facilitate the looting. Killing children, elders, women and peaceful demonstrators (none of them armed) by TPLF, which has been much worse than Derg’s killings in the sense that Derg was in fierce fight with armed groups (TPLF, EPLF, EPRP, EDU). Using private homes, offices, storage facilities, and several unknown (to public) places as prisons to jail political dissenters and letting some die there—just to show that they’re different from Derg who was killing openly—murder is murder, not seen or heard elsewhere except perhaps during Nazis. For any layman in Addis Abeba or rural regions, the name “yetigray hizb netsa awechi ginbar” is easy to understand politically and also connect the dots of the INTENTs anddaily ACTIONs of TPLF under the cover of ‘government’. It always surprises me that when political oppositions and others refer to yetigray hizb netsa awechi ginbar (TPLF) they use names that are meaningless politically. That is, “Weyane” and “hiwehat” are completely meaningless in describing the INTENT and ACTIONs of TPLF. “Weyane” was used by the former Derg people. Nobody knows why they used it as it does not replace yetigray hizb netsa awechi ginbar. Still now, I see some people using it. If the word “Weyane” describes the true INTENT and ACTIONs of TPLF, that would have been great! But it does not, unfortunately. Even though slow to come, there is good news. Recently, oppositions have completely dropped EPRDF (another cover for yetigray hizb netsa awechi ginbar ) when they refer to the current ruling regime in Ethiopia. That is a great achievement politically since everyone knows who the real thugs are behind the screen. It is an improvement to go from EPRDF to “hiwehat” to try to call a spade a spade. But, there is a problem. The name “hiwehat” is still confusing; it does NOT directly describe the INTENT and ACTIONs of TPLF. TPLF people love it because it is another cover for their evil doings! When you use a word (orally or in writing), your intention is to convey an idea or message. Those opposing TPLF, think how “hiwehat” is understood by a farmer (85% farmers in Ethiopia). But, instead of “hiwehat”, the direct translation yetigray hizb netsa awechi ginbar is much easier to be understood by ordinary people (who hate any group with an INTENTION of separation or LIBEATION FRONT) and directly get the INTENT and ACTIONs of TPLF. Members of TPLF are afraid of this particular naming (yetigray hizb netsa awechi ginbar) because it exposes them domestically. But, they love to keep the name TPLF for foreign consumption only. By keeping TPLF as their trade mark, they get support from some countries which do not want the unity and existence of independent Ethiopia. It is high time to call TPLF by its domestic name, yetigray hizb netsa awechi ginbar; just call a spade a spade!